Since the live stream took place, over 15,000 people from around the world have watched the recording — and are hopefully excited to play with the Hair Pin Lace Tool themselves. What project to start out with, though? Well, I’ve got a couple of choices for you. If you’re in the bohemian jewelry state of mind, check out my Leather Bracelet post. 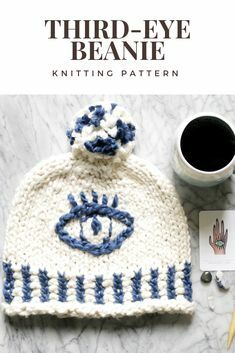 If you’re ready to snuggle in, hunker down and get makin’ for cooler weather, then this here post is for you! 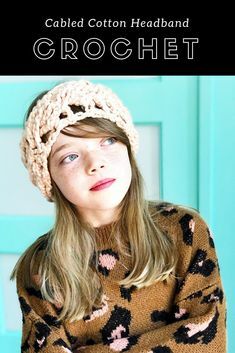 Chunky Hairpin Lace Scarf: Let’s Make It! With appropriate color yarn, cast-on yarn to Hair Pin Lace Tool. Using single-crochet and Amour Hook for center braid, work until 70 (120) loops are made. Need a Refresher Course on using the Hair Pin Lace Tool? Each time the Hair Pin Lace Tool becomes fully loaded, you’ll need to attach the top clip, then detach the bottom clip as you slide all but the top two loops (on each pin) onto the guide threads. Re-attach the bottom clip and detach the top clip; continue working. Once you have the appropriate amount of loops for the size you’re making, fasten off. Lay a Color A strip and Color B strip parallel to each other as shown above. If your guide threads were knotted, unknot them now. Removing guide threads as you go, insert hook through first 2 loops of strip on the RH side (Color B Strip), then first 2 loops of strip on the LH side (Color A Strip); pull both Color A loops (as if they were one) through both Color B loops (you’ll now have only two Color A Loops on the hook.) *Insert hook through next two loops of Color B strip; pull them through the Color A loops; insert hook through next two Color A loops; pull them through Color B loops. Repeat from * until strips are fully connected. Cut yarn, leaving a tail and feed it through the last loops. Knot if necessary. Repeat process to attach second Color A strip. Note: You’ll be working through two loops at a time for the entire edging. Removing guide thread as you go, join Color A by inserting hook through the first 2 loops on one side of the piece and pulling a loop through. Ch 2 (counts as sc), *[dc into next two loops, 3 dc AROUND the post of that same dc], sc through next two loops; repeat from * to end. Having a hard time visualizing the edging? Watch below. Cut 3, 40′′/101.5 cm, strands of yarn. Holding strands together, fold in half. Insert crochet hook through RS of scarf edge; lay yarn at the folded point over the hook. Pull yarn through, from back to front, just enough to create loop. 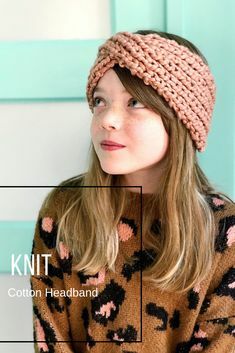 Set aside hook and use hands to fold the loop over the edge of the project, pulling the ends of the yarn through the loop. Pull tight-ish. <High -five> You just hairpin laced the heck outta that scarf! filed under Clover, Crafts/Sewing, Free Projects, Knitting/Crochet.